And so continues my quest to try the best of Boston’s donuts. The newest spot, Verna’s, is a place I’ve walked and driven past dozens and dozens of times, but had not so much as walked in until last week. From the plain white outside, you might not guess that inside is a pastel colored donut and sweets shop. I didn’t know this until we stepped inside but in addition to donuts, Verna’s sells a whole slew of other sweets: cupcakes, tarts, whoopie pies, half moons. We chose a selection of six donuts: glazed (x2), chocolate glazed with sprinkles, frosted bun, cinnamon raisin glazed, and a cinnamon sugar cruller. We got most of the same varieties we tried at DWAD so this allowed for some easy comparisons. The glazed was a tad greasier and less neat than the glazed donut from Donuts with a Difference. While the donut was nicely fluffy, it had a slightly artificial taste. 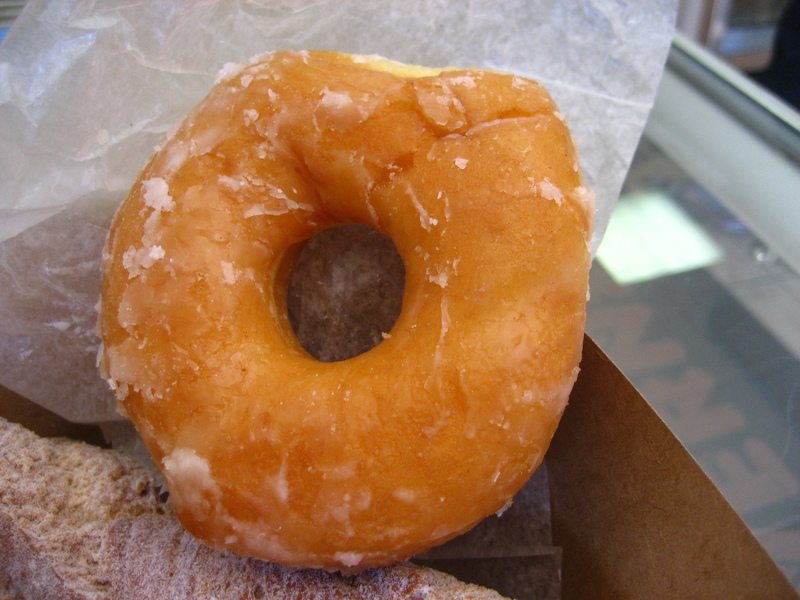 The frosted bun was the same base as the glazed donut, but without a hole and with an added layer of frosting. Once again, I wasn’t a fan of the yellowish tinge and the flavor. 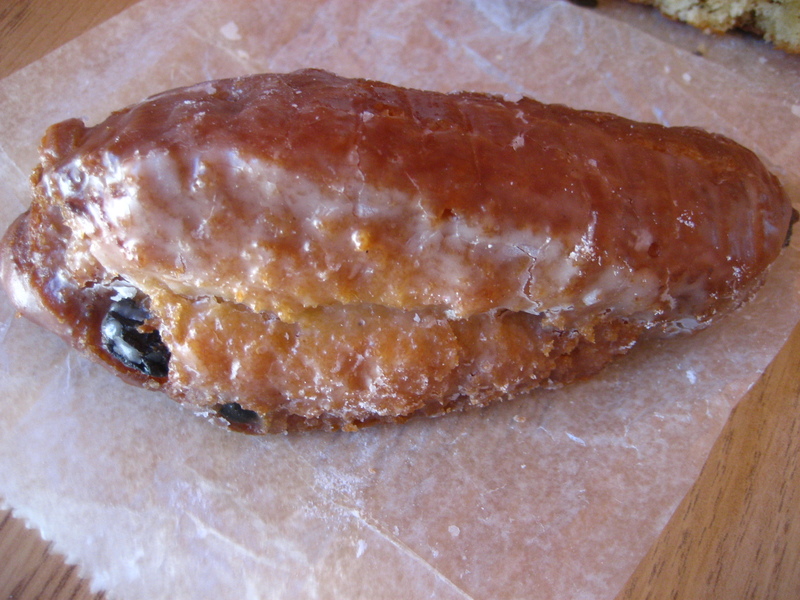 The cinnamon raisin, like at DWAD, was my favorite out of the bunch, with large raisins strewn throughout. Beneath the thick sugary glaze, the cake part also had a yellow tinge and an odd aftertaste. 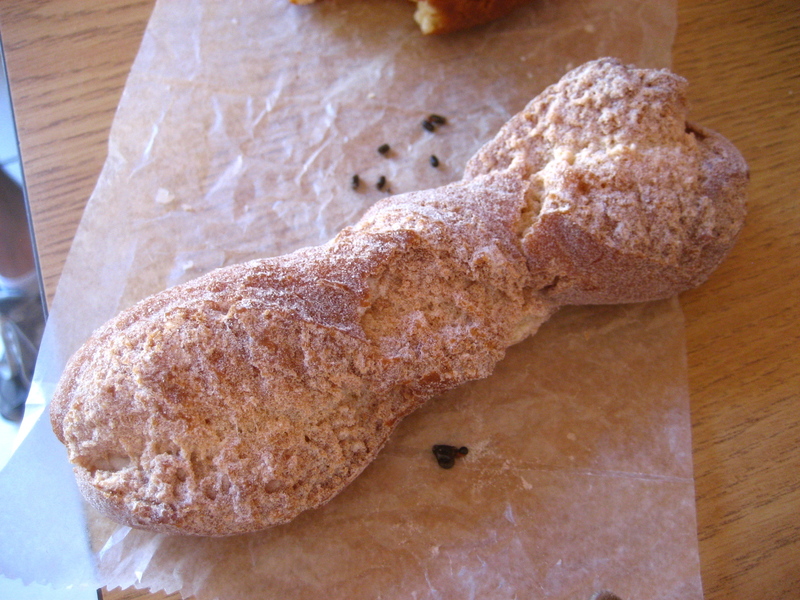 The cruller had a better flavor, and the wonderful crunchy outside that I love. 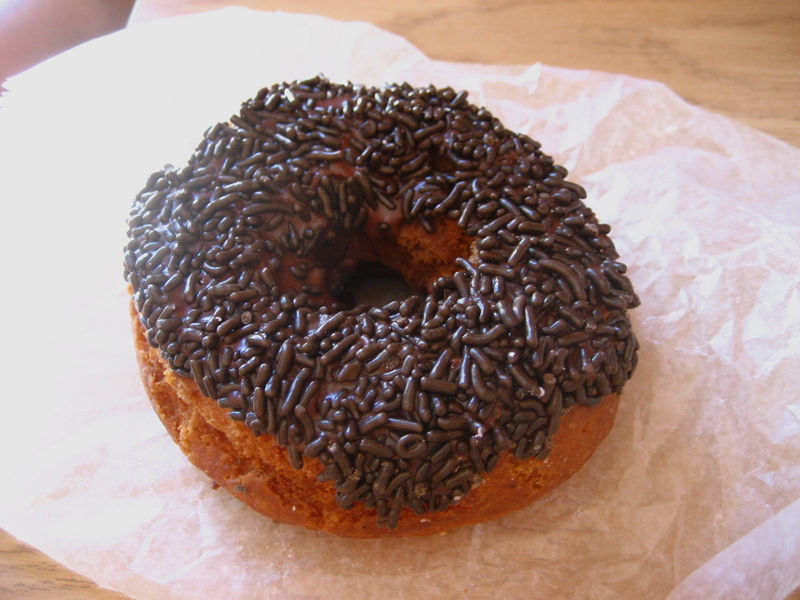 The crunchy outside was also present in Verna’s chocolate-glazed. I rarely eat anything with sprinkles these days but they did bring a bit of nostalgia. Like DWAD’s, it was a cake donut as opposed to a yeast donut, which was a good thing since I liked Verna’s cake donuts more. While donuts are indeed fried and full of sugar, it is my belief that a well-made donut tastes good without necessarily tasting fried . DWAD managed to do this as did Tony’s Donuts. 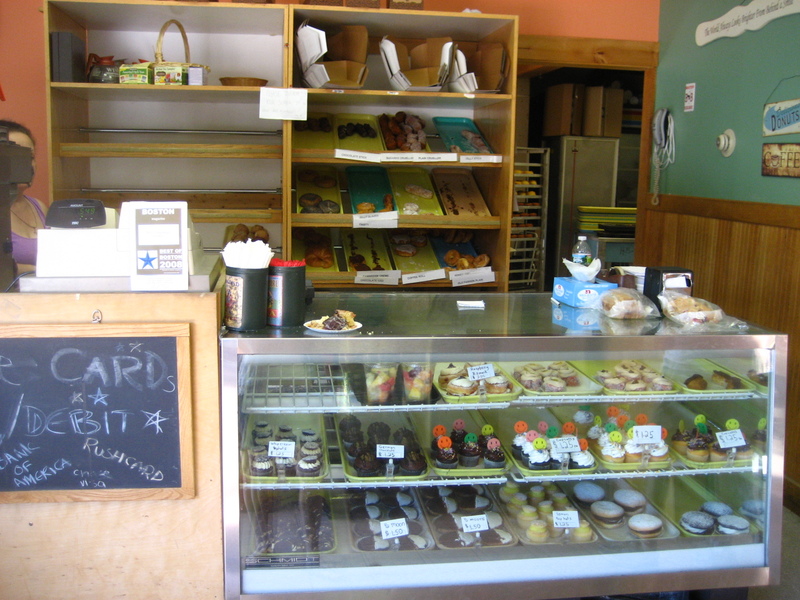 While some of them, were pleasant, primarily the cake donuts, I was not impressed with the yeasted donuts, especially having just had the ones at DWAD a few days prior. 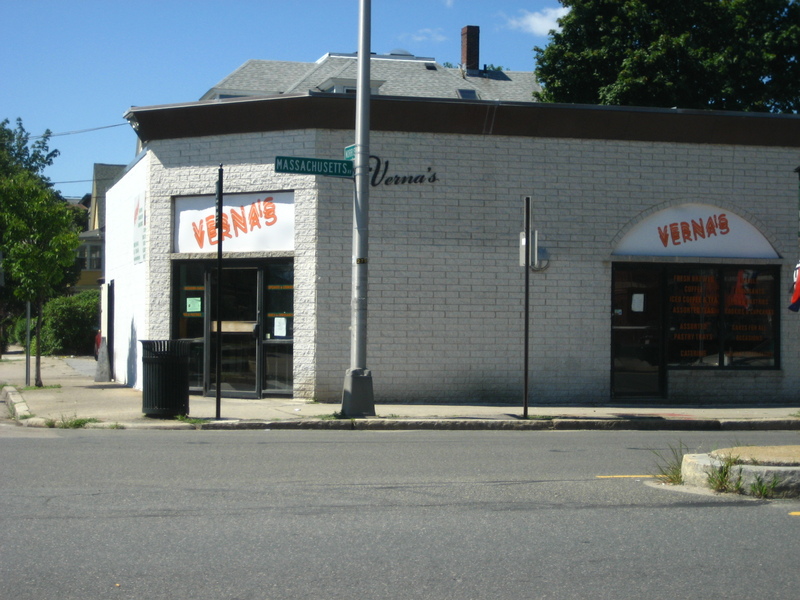 I know several people who absolutely love Verna’s, including the glazed, so I would definitely say you have to judge for yourself. For my part, I will return at some point for the cake donuts. 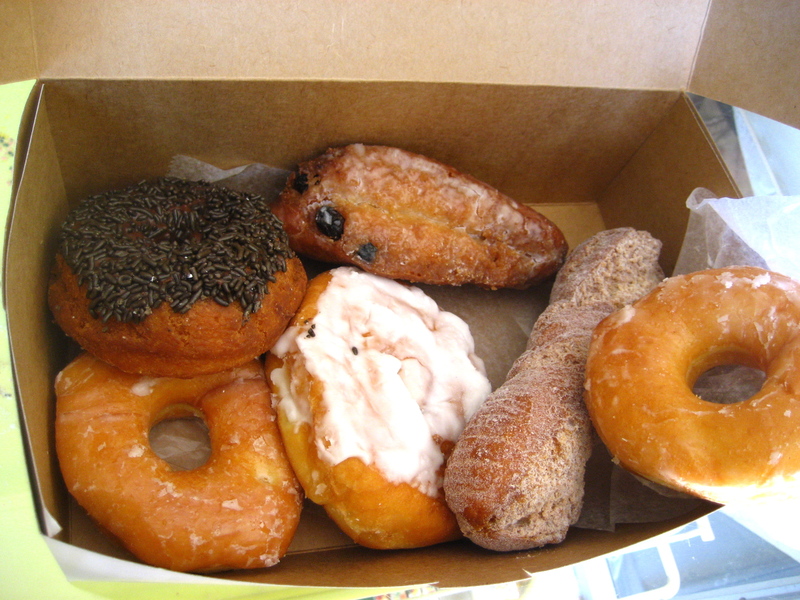 This entry was posted in Boston, Reviews and tagged Boston, donuts, Reviews. Bookmark the permalink. you would have no idea that building houses a donut shop! very cool. i guess not all donuts can stack up to your favorite! hmmm bummer they weren’t good! I’m not a huge doughnut gal. I usually like plain, classic/old fashion donuts with no frosting! Even though these doughnuts were so-so, I love your quest! I love your donut quest as well! I have never really found a donut I have liked, except for cider donuts! I’ve never been in there, but Jeff got coffee there while he waited for me to get my wisdom teeth out across the street. It sounds like I don’t need to rush over for doughnuts. And you rarely eat doughnuts with sprinkles? Those are some of my favorites! Loving all this donut research. 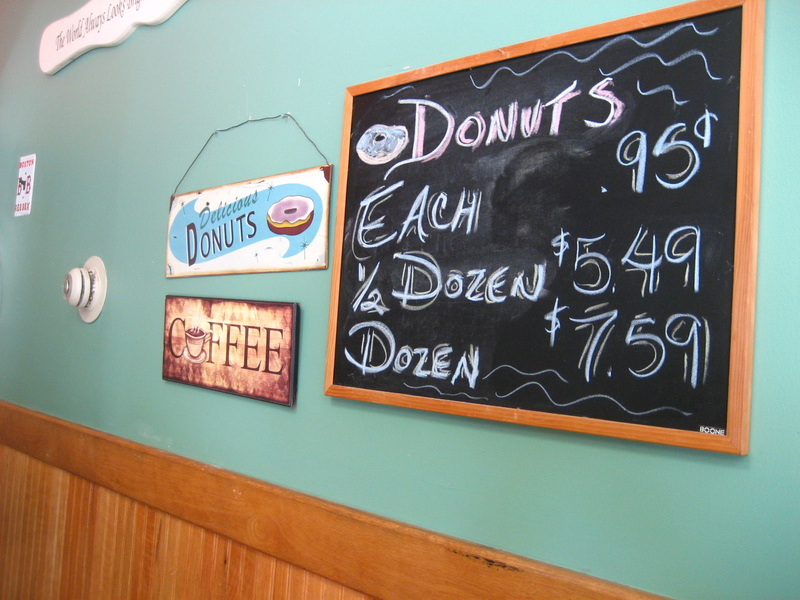 I rarely eat donuts – typically only when I’m vacationing on the Cape (we love Hole In One Donut Shop), so it’s wonderful to learn about more local options. I’m loving your search for the perfect donut! I have a THING for cinnamon raisin anything…I really should make it my goal to find every single cinnamon raisin anything out there.